This is a flowering tree of unknown origin. Possibly a fruit tree taught not to bear fruit. The blossom smell slightly sweet, the tree is a slow-grower. 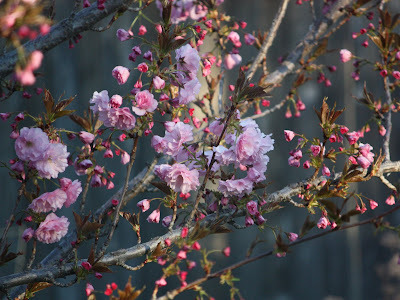 I think this is one of the cherry tree varities.. I got here doing a research of cherry trees on what would be the best variety for me of this pretty tree.. love it! !